The Designer Habitat Meat Grinder Sausage & Mince Maker is an affordable alternative for making your own sausages and mince. 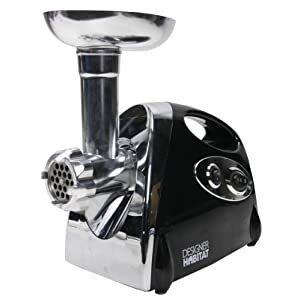 The meat grinder enables you to control what goes into your food, allowing you the option to surpass the additives and fats and choose the finest ingredients for your mince, you can also make your own great flavour combinations for home made sausages using the sausage attachment. The grinder has three steel cutting blades allowing you to mice to three different thicknesses. 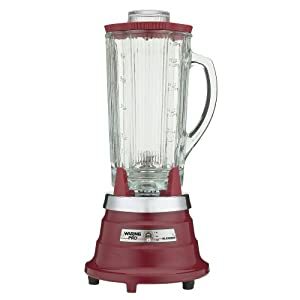 The grinder is simple to keep clean as the aluminium parts are removable and can be cleaned separately. The Designer Habitat meat grinder has a high power 1200W motor for performance, but is quiet when working and produces quality mince. An egg boiler was one of those items I really did not know existed or was needed for that matter. I always thought that the recipe for boiling an egg could not be simpler, but looking at some of these fantastic products on the market I can now see I was wrong. It was only when my wife struggled cooking eggs that I started to look online for alternatives. I needed something that was completely reliable and would make the perfect eggs every time. There are some pretty sophisticated machines out there like the Tefal Toast 'n' Egg. 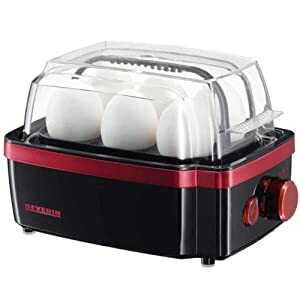 With some of the egg boilers listed below you can choose soft, medium and hard eggs and this is usually determined by the amount of water you pour in via a measuring cup or by a timer. The ensures you have perfect eggs every time.